Our Tuesday schedule tells us that last week’s Psychedelic Shack will air at 9 AM; The Swing Shift will now occupy a three-hour timeslot from 3 PM to 6 PM, with the new hour followed by two previous shows, and we will present two classic hours of Radio Coolsville, with DJ Betty Rock at 6 PM. This week we are sad to announce that, due to a fluish bug, the shows contributed by our friends at Haversham Recording Institute will be replays. They hope to be on the mend and producing radio again next week, and we wish them a speedy recovery. 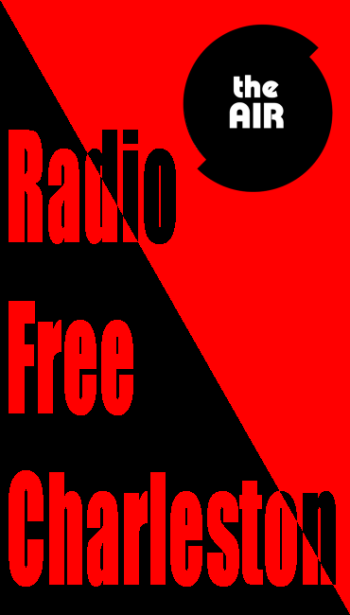 A new hour of Radio Free Charleston anchors a four-hour block of RFC at 10 AM. We replay the new hour at 10 PM. This week we decided to dig back into the RFC Archives to bring you some rare local music, mostly from 2015. Most of these tracks are double-shots of the performers doing two songs, and they are taken from the soundtrack of The RFC MINI SHOW, our video adjunct series that ran from 2013 to 2016, on an almost weekly basis. We recorded local bands in local venues and brought them to you. In this week’s Radio Free Charleston you will hear exclusive recordings of The Company Stores, Total Meltdown. Anthony Hoey, William Matheny, Gypsy Rhythm, Speedsuit, Hoboclay Schwartz and our vintage band this week, Three Bodies. The Three Bodies video was a special treat from 1991 that I dug out of a closet for use on the fiftieth episode of The RFC MINI SHOW. You can hear this episode at 10 AM and 10 PM. At 2 PM we bring you a recent episode of Psychedelic Shack, as its presenter, Nigel Pye, is among the afflicted at Haversham. You can hear The Swing Shift Tuesday at 3 PM, with replays Wednesday at 7 AM, Thursday at 7 PM and Saturday at 9 AM, only on The AIR. You can also hear all-night marathons, seven hours each, starting at Midnight Thursday and Sunday evenings. Remember, you can tune in to The AIR at all hours of the day and night for a variety and quality of programming that you will not find anywhere else. Check PopCult every day this week to see what our new schedule will bring.